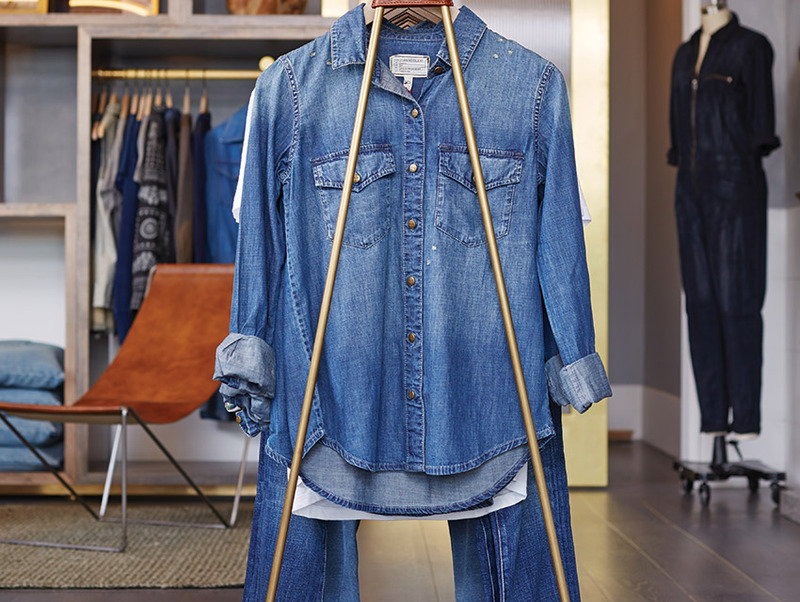 Los Angeles may be the denim capital, but finding the right jean jacket can still present a challenge. Most brands cater to thin or boyish frames by sticking to a single skintight fit. The CURRENT/ELLIOTT flagship store in Venice offers easygoing military styles as well as the longer, short-sleeved Trucker jacket, with its forgiving ’80s shape. Even the shrunken Snap jacket boasts ample stretch.